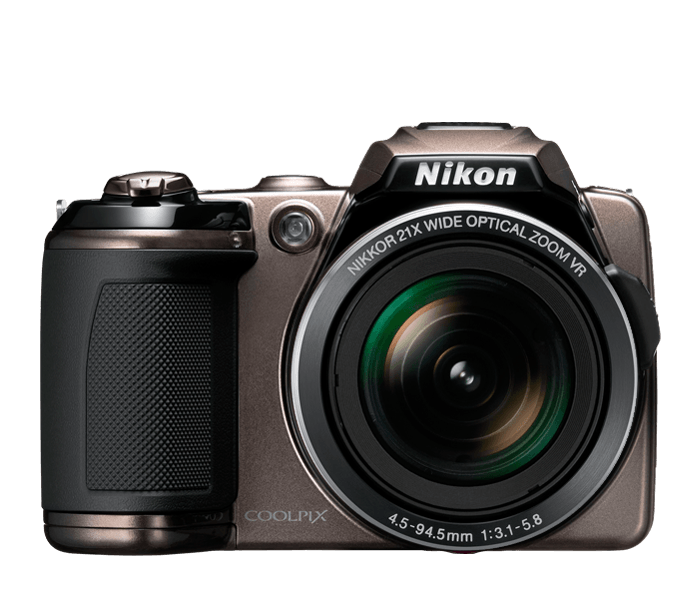 Behind every great photo and HD movie is the COOLPIX L120, a camera brimming with technological advances. Smile Timer detects when a subject smiles and automatically takes the photo. Blink Warning identifies when a subject may have blinked and signals you to retake the shot. Face-Priority AF is an innovative face-identifying technology that detects and focuses up to 12 faces automatically. Red-eye will no longer ruin family photos. In-camera Red-Eye Fix automatically fixes the problem before it occurs. Blotchy, uneven complexions are also a thing of the past with COOLPIX L120’s Skin Softening, which smoothes skin tones. This versatile camera also has 17 Scene Modes that adjust camera settings to selected scenes, assuring great pictures at school plays, backyard barbecues, or athletic events. A dazzling three-inch colour display brings your stills and HD movies to life. You’ll enjoy composing images from the COOLPIX L120’s bright three-inch LCD Colour display, which features a dazzling 921,000-dot screen that showcases still images and HD movies in rich detail and enhanced contrast. And for easy photo composition, improved picture viewing, and instant sharing, the LCD monitor’s wide viewing angle and anti-glare coating lets you capture and view high quality images in virtually any lighting condition, every time. Low-light conditions and fast action can defeat some cameras, but not the COOLPIX L120. With high ISO speeds up to 6400, you can be sure that still images and movies will be ideally captured. With Nikon’s Sport Continuous Shooting mode, this camera takes photos continuously and in quick succession to capture fast moving objects. You’ll get great use of the in-camera editing functions, including D-Lighting for adjusting contrast and fine details often lost when shooting in glaring or intense light. You can pick from five colour options: Standard, Vivid, Black & White, Sepia and Cyanotype. And when you want to take close up photos, the COOLPIX L120 will zero in as close as 0.4 inches. Don’t hesitate to click away, because you’ll get about 330 stills from the four AA alkaline batteries that come with the camera.